Arsenal will play Watford on Monday in 2018/19 Premier League as the season nears it’s completion. The Gunners go into this game as the favourites. Arsenal are struggling at the moment in 2018/19 Premier League and they will hope to finish the season in top four. But The Gunners will need to play quality football. Arsenal are at present sixth in the points table after 32 games with 63 points. They know that against Watford they have got a good chance of securing full three points and they will be at their best. The Gunners play next Napoli in the UEFA Europa League. On the other hand, Watford are doing good in 2018/19 Premier League and they will look to keep playing quality football in games to come. Watford are currently tenth in the points table after 32 games with 46 points. Against Arsenal they will have to give their all and hope for the best. Arsenal have a good record against Watford and they will look to continue the good work. Gerard Deulofeu is available for Watford for the Arsenal game and will likely play. As for The Gunners, Lucas Torreira is available and will likely play. 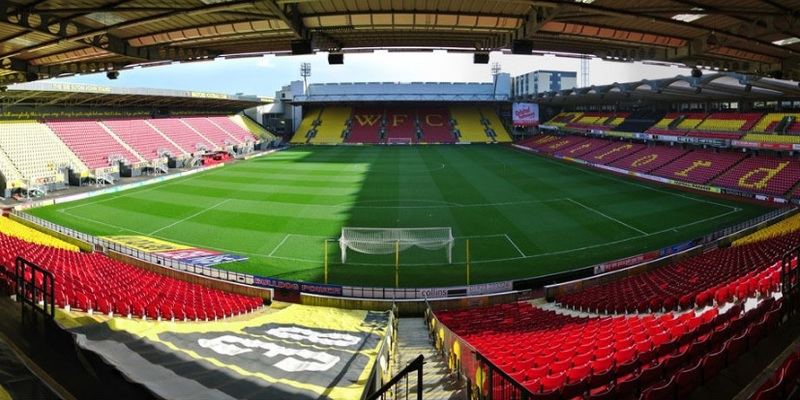 Watford XI : Foster, Janmaat, Mariappa, Cathcart, Masina, Hughes, Doucoure, Capoue, Pereyra, Deeney, Deulofeu. Arsenal XI : Leno, Mustafi, Koscielny, Monreal, Maitland-Niles, Ramsey, Torreira, Kolasinac, Iwobi, Mkhitaryan, Aubameyang. It should be a good game as both teams will give their all but in the end I expect The Gunners to get the job done and earn full three points. They might win 4-2. The goalscorers might be Kolasinac, Mkhitaryan, Aubameyang and Iwobi for Arsenal and Deeney (2) for Watford.